Opening reception: Thursday September 13th from 8 - 10 p.m.
Aupuni Space is proud to present a solo exhibition by Tommy Hite, “Semi Neoclassical” from September 13 - October 13, 2018. We are hosting an opening reception on Thursday, September 13th from 8-10 p.m.
Tommy Hite hasn’t painted people. The hyper-realistic “landscapes” we have come to know from him have always been devoid of the human figure. Dubbed “Honolulu Social Realism,” the local viewer is familiar with the ubiquitous green Honolulu Disposal Service dumpster or Foodland shopping cart realized in loving detail. We don’t need to think about who might inhabit these scenes, thus far Hite’s works have expressed their intentions well enough without them. This new group of paintings conjures those subjects, the people who reside in the construct that Hite has established. Skating across 3 centuries and 4 distinct styles of classical portraiture from Late Renaissance or “Mannerism,” to Baroque, to Late Baroque or “Rococo,” and finally Neo-Classical; and referencing 8 different existing works in particular; Hite has manifested from a broad spectrum of styles and distilled them into a “Semi” singular style of his own—dubbing these works “Semi Neoclassical.” Classical portraiture closely matches his established motif of a monochromatic background with a central object highlighted in color to capture the viewer’s focus. 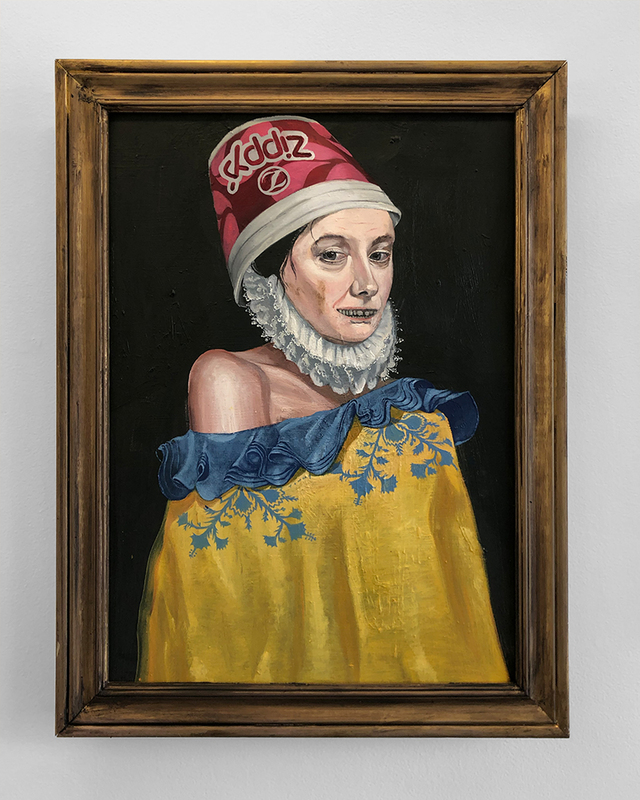 These paintings have shifted Hite’s work into another register, in imagining these characters displacement from their historical portraits into the contemporary and local landscape.